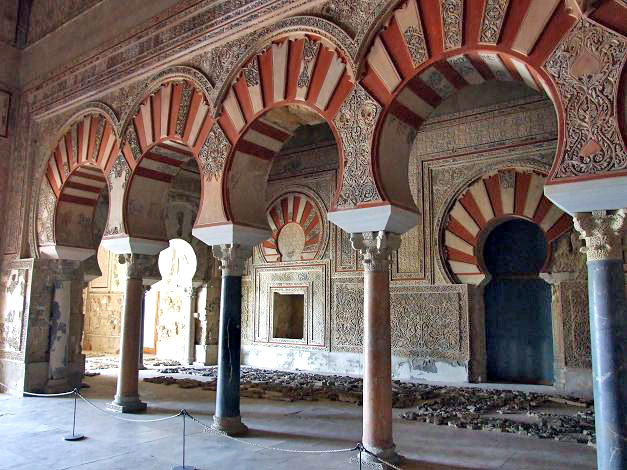 The Caliphe of Córdoba, Abd al-Rahman III, build „the shining city“ in 936 A.D. The capital of Islamic Spain was the centre of the Ummayad Caliphate. Its influence extended as far as Western Europe and North Africa. Travelers described the city as a dazzling series of palaces full of treasures. Extending the existing network of Roman aqueducts, the people of the city benefitted from an unusual luxury for that time: running water. Exotic gardens and ornaments of ivory and gold impressed the visitors of the city. 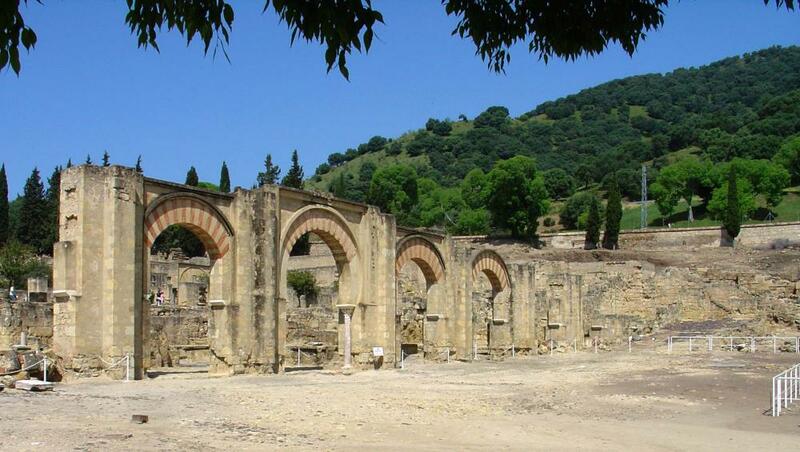 Historians referred to the Medina Azahara as the Versaille of the Middle Ages. After only 80 years Berber troops laid the once magnificent city to waste and the civil war put an end to the Caliphate. For about 1000 years the city was forgotten until its rediscovery in the early 20th century. Ricardo Velázquez Bosco, Félix Hernández and others uncovered the palace area of Medina Azahara between 1911 and 1975. The remains of the Ummayad capital are still well preserved. View over Medina Azahara with the reception hall of Abd ar-Rahman III. Behind the site lies the modern city of Córdoba | © Arnold, DAI. 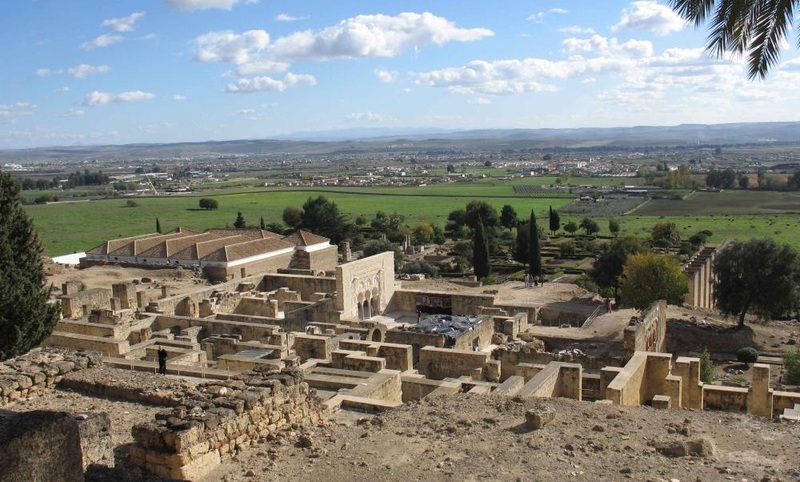 Since 2017 archaeologists of the German Archaeological Institute (DAI), Junta de Andalucía and the Universidad Autónoma de Madrid excavate in Medina Azahara. Felix Arnold, Alberto Montejo and Alterto Canto aim to study the greatest public place of the city in front of the main palace gate. To date, only 10 percent of the site is excavated. For the archaeologists the historical development of the façade and the design of the adjoining place provide new insights into the interrelation between rulers and people. Medina Azahara helps to understand the cultural heritage of the Ummayads. The Spanish-German archaeological team and the State Party of Spain plan to preserve this cultural heritage site for the future. At the 42nd meeting of the World Heritage Committee in Bahrain on July 1, the UNESCO acknowledged, that Medenia Azahara is an unique cultural heritage of the Islamic culture on the Iberian Peninsula. Portico of Medina Azahara | © Arnold, DAI. Image: Reception hall of Abd ar-Rahman III | © Wiki Commons.